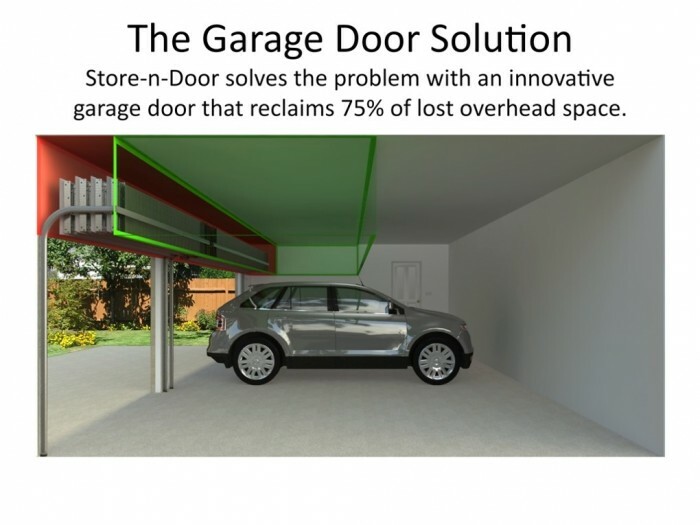 Store-n-Door is a revolutionary new garage door that saves ceiling space by stacking vertically instead of laying flat when it is in the open position. 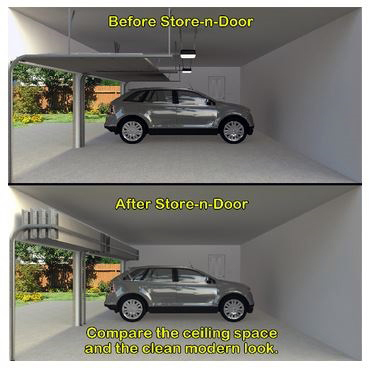 This innovative design reclaims 9 feet of ceiling space making room for our new overhead storage system or just providing for a clean, modern and open look that results in a very aesthetically pleasing overall garage space. 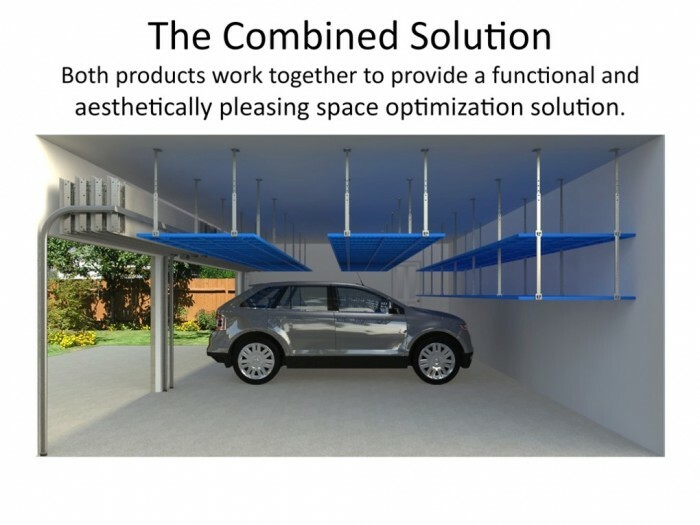 "A vertical lift, self-storing door system includes a plurality of panels supported by a first and a second single track guide rail which engages guide rollers associated with the panels. The guide rail has a vertical segment which defines a closed position of the door and a horizontal segment which defines an open, storage position for the door. When the door is closed, the individual panels are stacked in an edge-to-edge relationship so that their front faces are coplanar. 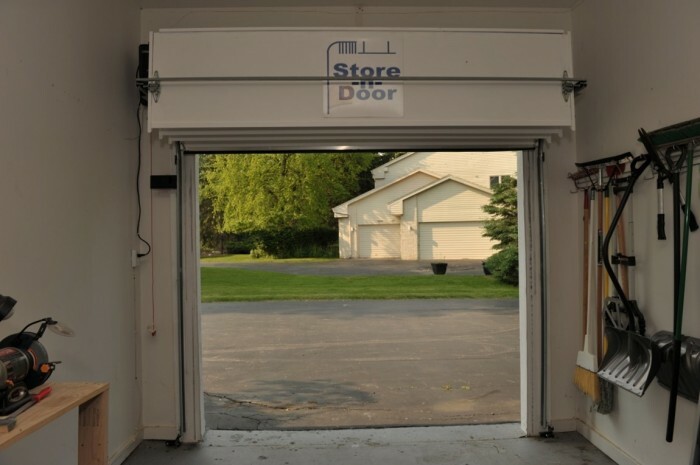 When the door is in an open position, the panels hang vertically from the guide rails in a spaced apart, generally plane parallel relationship with regard to their front and rear faces. Bevels in the top and bottom edges of the panels accommodate panel motion and ensure a tight seal when the door is in a closed position, and these bevels may include connecting features such as notches or tabs." 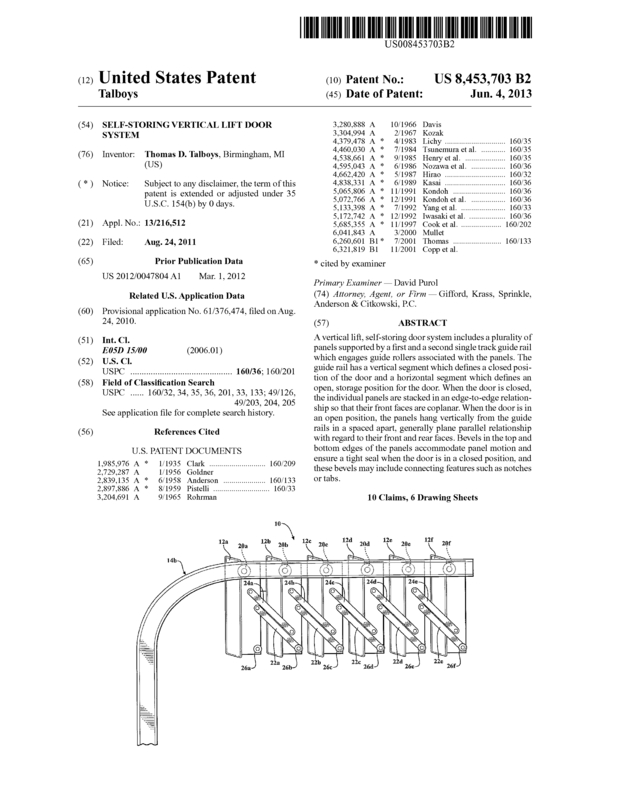 Page created at 2019-04-25 4:24:10, Patent Auction Time.